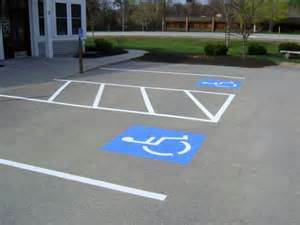 Keeping your parking lot looking fresh is important for safety and organization outside of your business.Some of the benefits to re-striping your parking lots include improving safety for pedestrians and drivers, improves visibility, as well as enhances the appeal of your business. 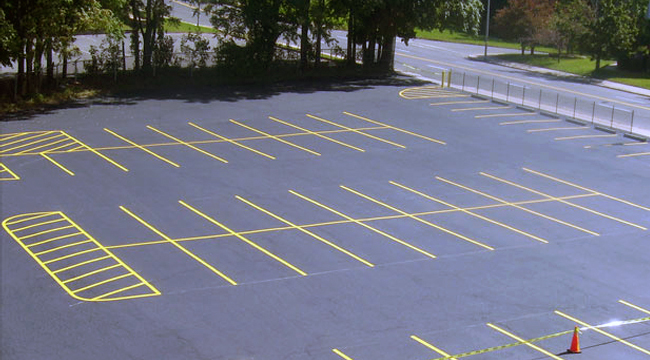 All American Sealcoating will keep your parking lot safe, looking new and professional. 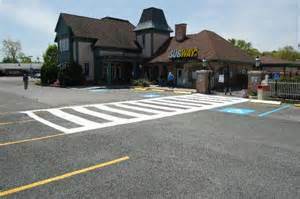 All American Sealcoating provides high quality pavement marking services to give your parking lot the clean, professional look your establishment needs and deserves. 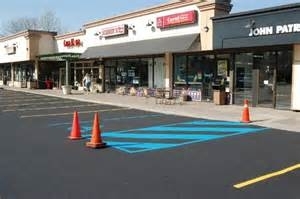 From Parking Lot Striping to Highway Marking, we have the tools and accessories to finish any size job. We offers a full line of Line Striping Services and Paints to meet your needs. Our Professional Line Striping Services keep your streets, parking lot, warehouse or facility attractive and safely marked. We us only the best equipment and techniques are used on every job to deliver high quality markings. We apply commercial grade traffic paints that perform well and look outstanding. To meet State, Local and federal requirements for accessible parking and to meet local occupancy codes. 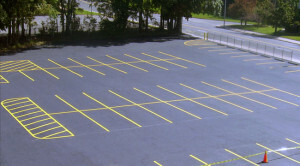 To Improve the efficiency, safety and appearance of your parking lot or warehouse. To welcome patrons to your establishment with legible markings that portray your solid company image.